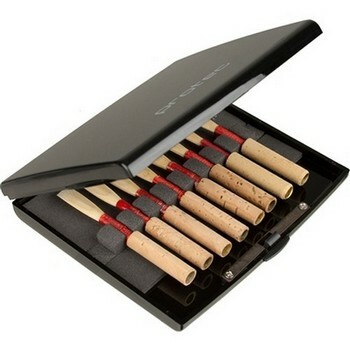 Designed with functionality and style, these sleek cases protect up to 8 oboe / English horn reeds. Lightweight, allows airflow, virtually indestructible, and features a spring-loaded closure. External dimensions: 4.25 x 4 x .6"